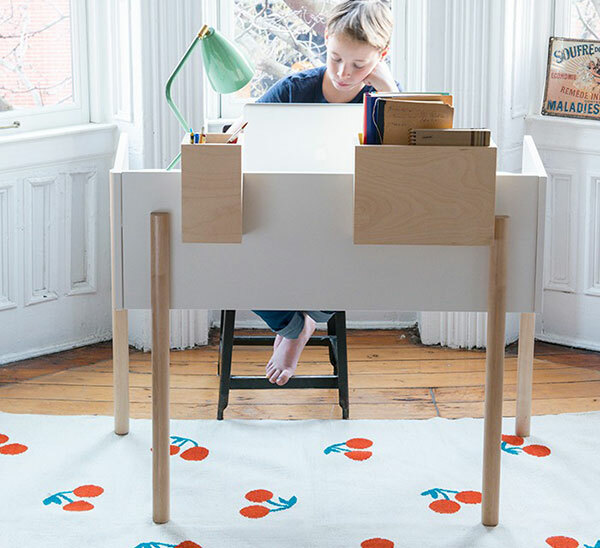 We know the fabulous crew at Oeuf create gorgeous children’s furniture, but did you know they also create amazing floor rugs? Step on through to see the awesome floor covering range from Oeuf. 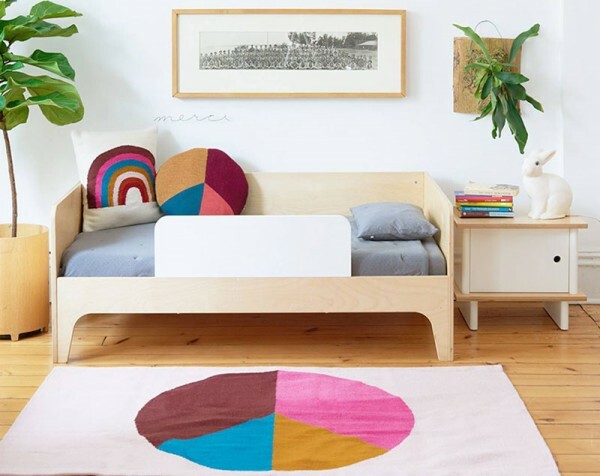 While Oeuf are renown the world over for their contemporary neutral-toned furniture, their floor rug collection is anything but, exuding rich colours. 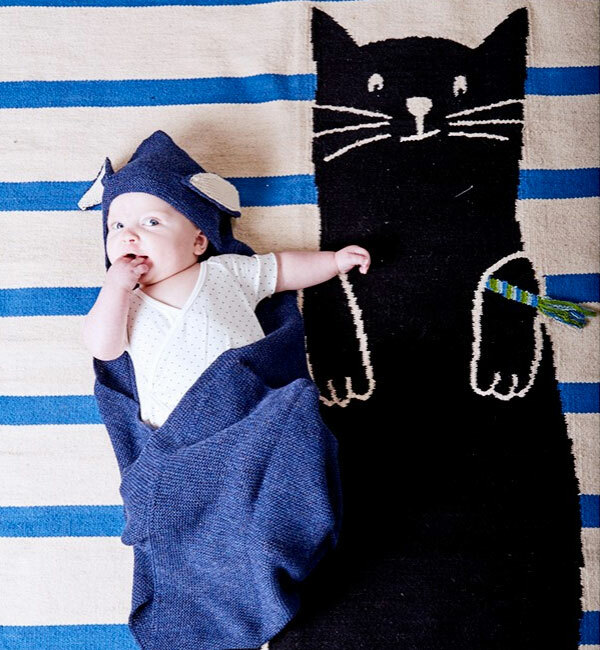 Boasting fantastically fun designs emblazoned with the likes of giant red foxes, playful kittens, cherries and rainbows just to name a few, each design is available in two sizes – 91 x 152cm (US$260) and 121 x 182cm (US$440). 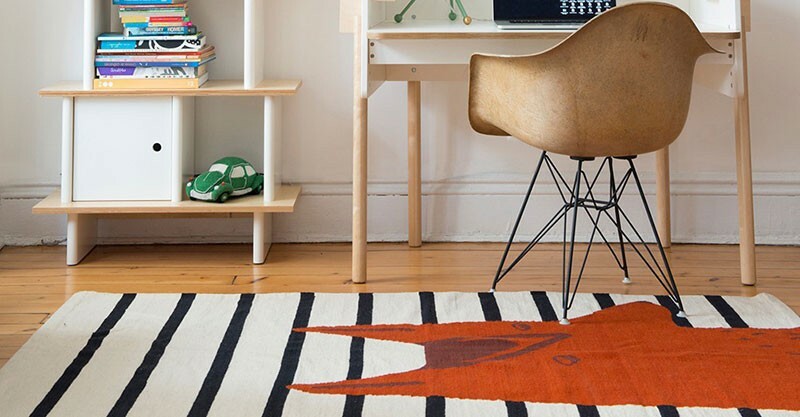 A durable floor covering, Oeuf flat weave rugs are made from 100 per cent wool, using the traditional hand loom technique by talented artisans in Peru. Though the unfortunate news is Oeuf rugs are currently not available in Australia, we’ll be sure to let you know when they hit our shores!